In Nigeria Idie one of the ‘five lights’ one of only six mutants to have come about since M-Day. She is in a church surrounded by soldiers who wish to kill her after her manifested powers burn down a few houses and freeze some people. She is praying to Mary mother of God to save her. 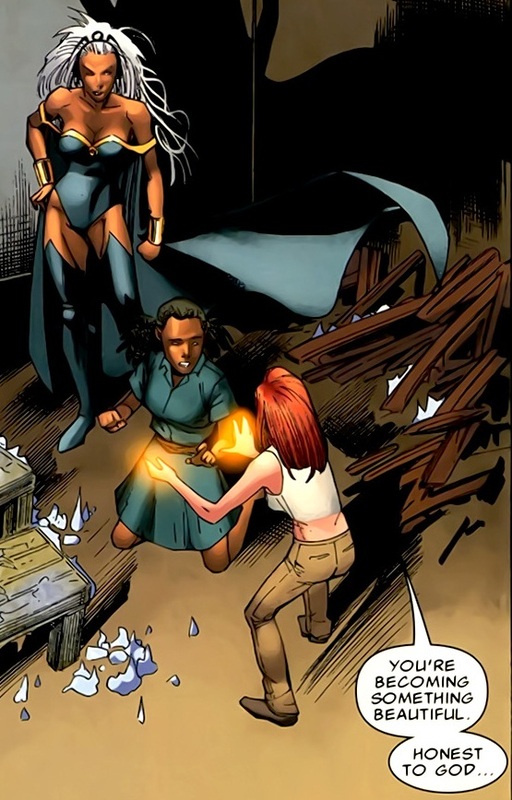 Storm and hope arrive to assist her. Her powers rage out of control briefly until Hope touches her. The all face the soldiers and Idie saves the group by melting bullets before they can connect. They then prepare to carry her back to the X-men. There’s a small forgettable cameo by black supervillain Frenzy. Cover was ok with storms image over mother Africa. New black superpowerd girl, another Nigerian character added to the ranks. She was genuinely portrayed as scared and was convincing in that capacity. Generic uninspired art. 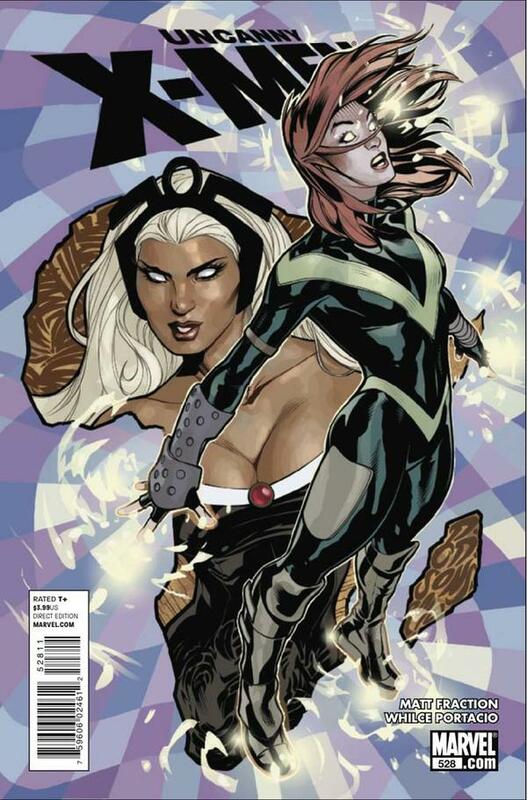 Every female looks the same, backgrounds are bland and Storm was just badly written. Storm flies in to save the girl leaving the soldiers outside armed to later fire at them? Is stupid soup being sipped over at Utopia (new home of the x-men)? Another problem was why the soldiers didn’t flee at the sight of this popular African goddess, queen of wakanda, Kenyan princess and American superhero is beyond me! This is Africa and storm has been worshiped here since she was a teen! She even did a ‘walkabout’ before marrying the Black Panther. How could they not recognize her and flee immediately!!? That’s just stupid! Lets not even get into the high profile she has as a black superhero who lead the x-men in many public spheres (modern xse and the x-treme x-men) and even as a member of the fantastic four! 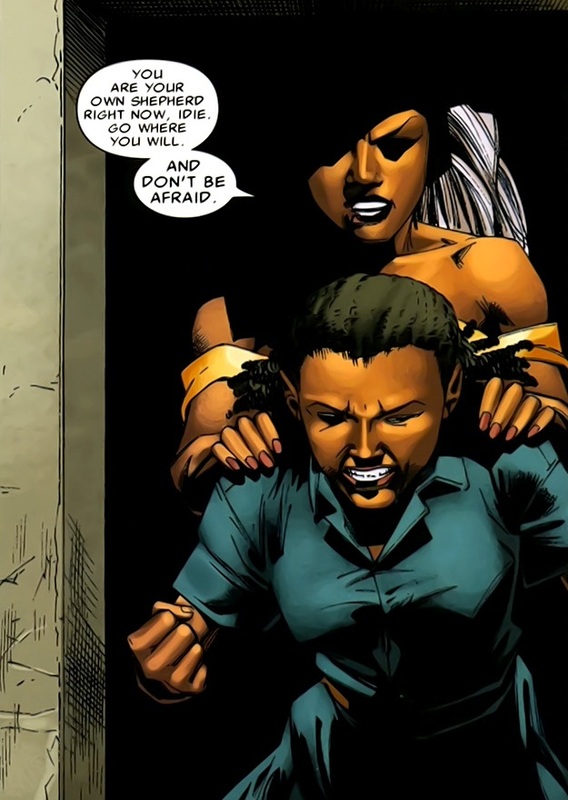 As for Idie she as well knew not who storm was (shakes head) is the writer trying to say Africa has no connection between regions or have never seen a tv? Because unless Nigeria was over at d.c comics in recent years Storm would have to be significant and well known in some capacity. Namely her fame as I don’t know…a Goddess?…a Queen?….member of the X-men?…member of the fantastic four? Un-original powers, sure Crux was not popular..Angel Salvadore had the same powers in the last new warriors series…this chick has the exact same powers and to top it off….. She did not look like a 12 year old.